Nikon D200 vs D300 are two semi-pro DSLR cameras that are quite popular among dedicated photographers. Both are weather-sealed and equipped with an optical viewfinder, a flash sync port, and a top deck display. But, then again, Nikon D300 is quite more expensive. So, what things do come with the increased price difference? Well, many people seem to agree that Nikon D300 is on an entirely higher class than Nikon D200. Continue reading for the detailed comparisons. If you put these Nikon D200 and Nikon D300 cameras side by side, you can see that they are about the same size. Neither is way bigger or smaller than the other. Interestingly, they also have a similar weight. Both feel very sturdy and rugged, thanks to their metallic frames, and they are both weather-sealed to allow you to hunt for photos outside without worrying about the weather. We have also compared Nikon D300 vs D5100, so don’t forget to check it out. Still, there are noticeable differences, especially on the display screen. Nikon D300 is equipped with a much better one. Not only the display screen is larger at 3.0”, but the display screen also has a significantly higher resolution of 922k dots. Nikon D200’s display screen is only 2.5” with a resolution of 230k dots. Obviously, the display screen of Nikon D300 is much more accurate and pleasant. There are several notable features that have been added to Nikon D300. The first is the AE bracketing, which is very useful in tough lighting situations and for HDR photography. It allows you to capture a shot with multiple exposure ranges. The second notable feature is the AF micro adjustment fine tuning, which enables you to adjust each lens in order to achieve a more accurate focusing. Nikon D200 has neither of these two features. Nikon D200 only has an ISO range that goes from 100 to 1600, expandable to 3200. The continuous shooting speed is 5.0 fps. On the other hand, Nikon D300 comes with an ISO range that goes from 200 to 3200, expandable to 6400, and a continuous shooting speed of 6.0 fps. 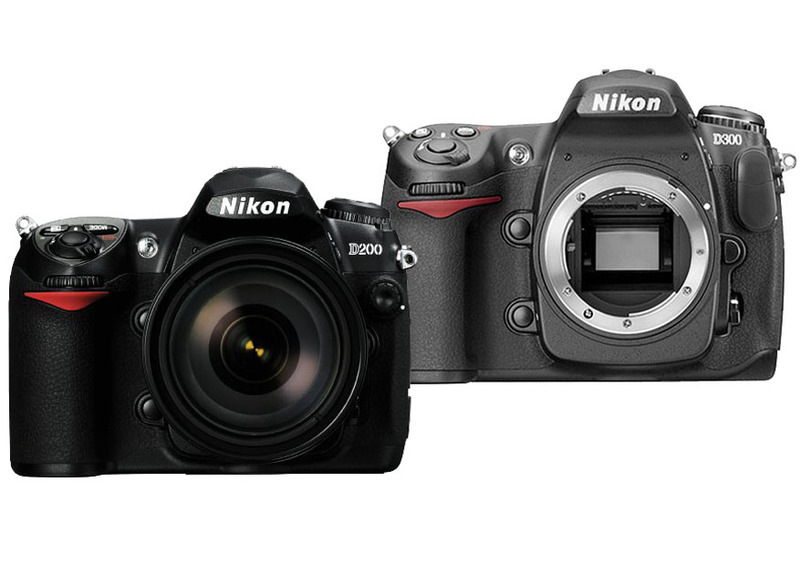 One does not need to take a lot of time to compare the image quality of Nikon D200 vs D300. The latter model offers much better colors, highlights, shadows, and overall sharpness. The images it delivers are much more accurate, detailed, and lifelike. Of course, Nikon D300 also comes with a higher optical resolution, which means that it can deliver slightly larger images. Nikon D300 also trumps Nikon D200 in terms of battery life. The difference is very big. Nikon D300 can last about three times longer than Nikon D200. If you want to go on a long photo-hunting trip without worrying much about the battery, you know which model to choose. Between these two models, Nikon D300 is easily the winner. It is an entirely better camera, with better features, performance, and image quality. The AE bracketing and AF fine tuning are very handy, and the significantly longer battery life will allow you to hunt for photos with a peace of mind.